There is no limit to what you can do to your mobile photos to take your photography experience to next level. If you have right best photo editing app on your device, there is a lot you can do with images and turn them into creative masterpieces. 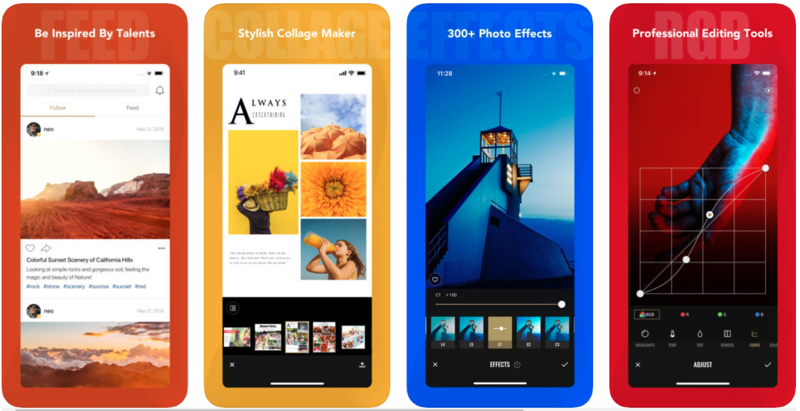 Online app store offers an exciting range of image-editing apps to optimize and edit photos to your taste and preferences. If you have handy editing tools inside your best photo editing app, you can explore your creative side and enhance decent snaps and transform them into a work of art. Apart from Adobe photoshop, there is an ocean of powerful alternatives for image editing. 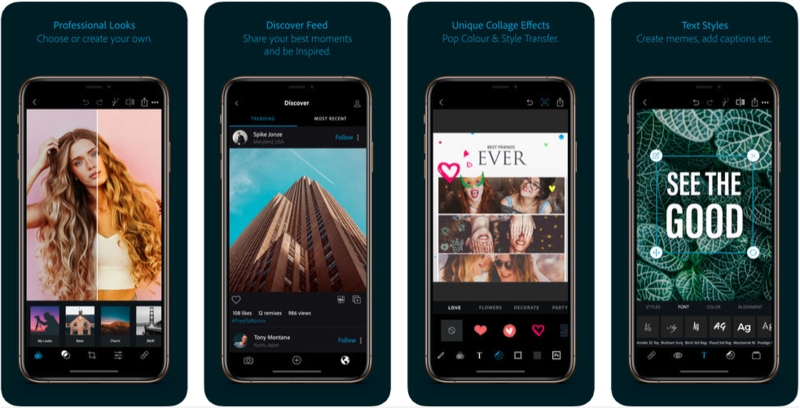 Read on to learn about the 24 best choices for photo editing app in 2019 that will give your snaps a unique edge. Affinity Photo is one of the most loved modern-day photo editors in the market. Available for everyone using Android, iPad, macOS and Window PCs, Serif’s Affinity Photo is the subscription-free alternative to Adobe Photoshop software. The app can boast about its tone mapping workspace feature that allows you to convert any standard JPG or HDR photo into a fascinating dramatic scene that contains surprising, unforeseen details. Adobe Photoshop Lightroom is a sublime desktop app for sincere and passionate photographers. It offers distinctive RAW processing and has library module to collect images. It allows users to access and edit their photo libraries over cloud. Luminar 2018 is the latest version which makes for a reasonable, light-price alternative to slightly expensive Lightroom app. The range of tools inside the app offer amazing quick and easy fixes. PaintShop Pro has been worshipped so far as an affordable Photoshop alternative on PC for many years. 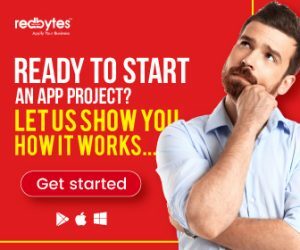 Its new 2018 version has promising qualities that make the app easier, faster and far more creative than before. If you are willing to pay a little more, PaintShop Pro 2018 Ultimate could be your finest resort for a professional editing. 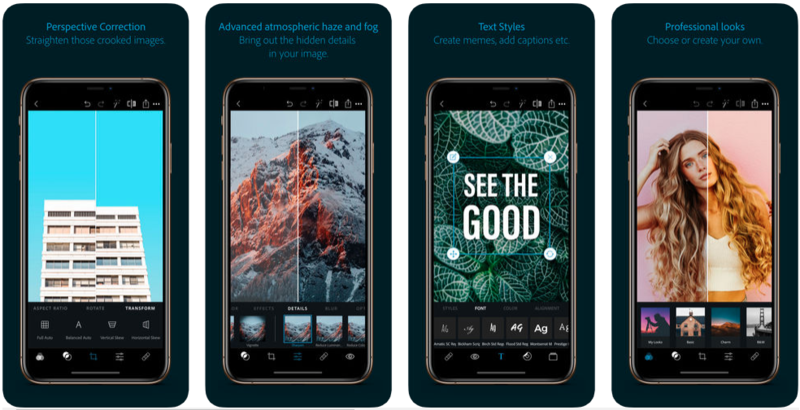 Photoshop CC is in every right a brilliant app that can literally brag about too many outstanding features, which makes it quite mature photo editing app out there. The best part is ‘enhanced tool tips’ that makes learning for Adobe Photoshop beginners easier. Started back in 2007, Acorn is a budget based image editing software for people who are genuinely passionate about photo enhancement. The list of best photo editing apps is incomplete without Photoshop Elements. Photoshop Elements can be optionally used over Photoshop CC. The app does have great offerings and contemporary capabilities similar to other apps. Camera+ is another great app for iPhone users who seek more creative control and incomparable photo editing tweaks. The default Camera app of iPhone is not that appealing and restricted to producing decent snaps. Built with an advanced approach for multiple integrations, Pixelmator relies on Mac OS X libraries to create fast and powerful editing tools. Software can integrate with iPhoto, Aperture and iCloud and offers amazing filters. Google Snapseed is best for those who wish to enhance photos on the go. This free app is available for iOS and Android users and offers a range of facilities including subtle corrections and style filters. Snapseed processes only single images and doesn’t support combining elements from multiple photos. Adobe’s Photoshop Express is a quick resort to your image editing needs. Its main strengths are cropping with responsive controls, and ‘Looks’ that have single-tap filters to adjust effect intensity. 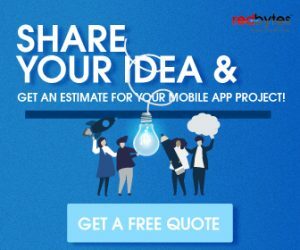 It is excellent for simple improvements and photo-sharing. Enlight seems to emulate Google Snapseed in many areas including image parameters and radial filters. Available exclusively for iOS users, Enlight seems more advanced than Snapseed in certain cases. You can adjust parameters easily and adjust frames using radial filters. Its enormous toolbox makes Enlight the best choice for elaborate creative designs. VSCO is a free image improvement app whose filters are available for Lightroom Presets and ACR Presets for Photoshop CS6 and CC. It has wide range of classic colour and black & white films. It has themed packs for specific types of editing style. 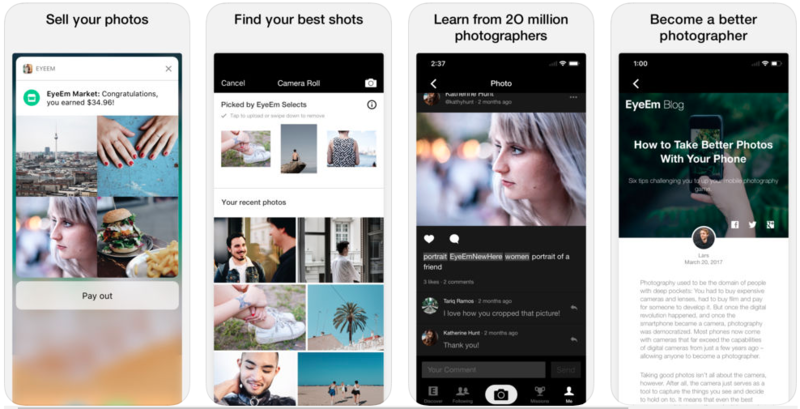 Launched in 2011, EyeEm is free to download and has a massive online cameraphone community that enabled users to share their work and browse through the work by others. EyeEm has diversified into Stock photography where contributors get 50% of royalty. 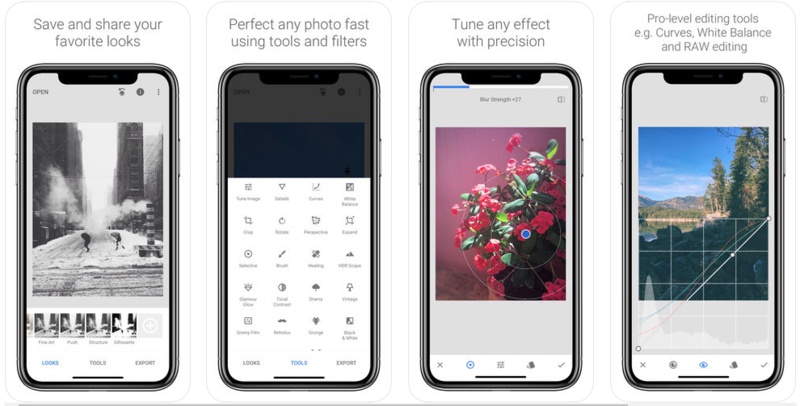 Pixlr has the potential to make for the list of top image editing apps in 2018. It has browser-based editing tools and helps control your mobile camera. The free version has ads while its paid version is free from ads. Fotor is an advanced image-editing app packed with plenty of impressive tools that don’t come with other basic editors. It automatically adjusts your image to make it look best. 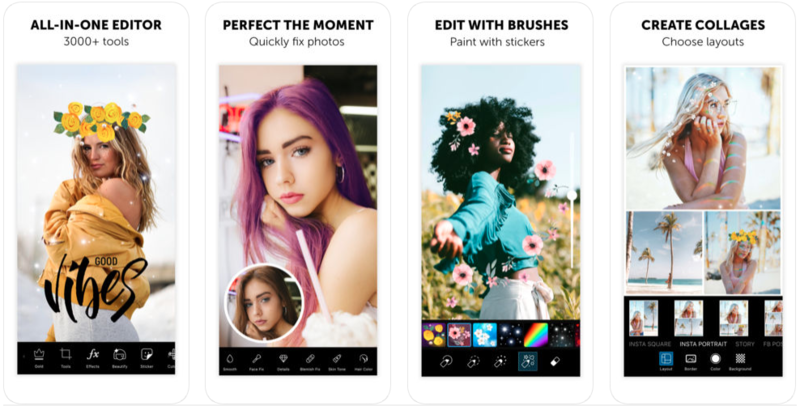 PicsArt Photo Studio is a superb all-round app with which you can take snaps, process and edit images, apply filters and other effects, create collages and share your final creations. It has the comprehensive image processing module. DxO PhotoLab is quite a focused photo editing software that does a few things with great accuracy and excellence. Though it might get complex in use, it is a specialized tool producing spectacular results. 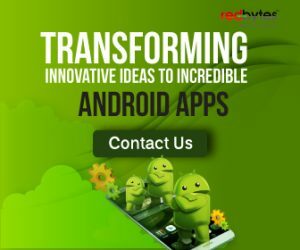 Photo Mate R2 is a paid app you can buy from Play Store. It is quite effective and useful for users who expect to process RAW images. It is fairly competitive and has good set of features to offer. If you are looking to enjoy fun ways of editing your snaps, Rage Comics editor is something you can eye with curiosity. 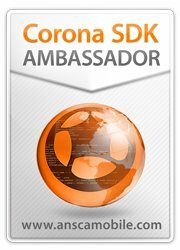 It provides a range of cool stickers to enhance your existing photos. While the app does not provide detailed photo editing, it makes photography experience fun. Our extensive library of natural filters and powerful editing tools put you in full control of your images, designed to be simple & intuitive. 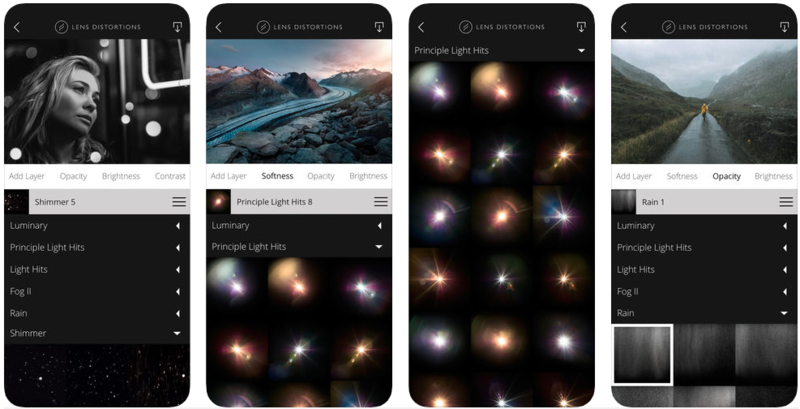 After light is the perfect image editing app for quick and straight forward editing. Our simple design, paired with powerful and snappy tools, will give you the look you want in seconds. The world’s best app known to capture the perfect moments in life and share it with friends and family. No one should be a photograph professional to take good licks on Instagram, it’s just that you need to learn a few tips about the tools. This photo editing app is best among the all as it contains more amount of frames, filters and many more. Lens Distortions lets you add real-world effects to overlay and amplify your pictures. With the bursts of colorful filters, effects, and frames you get the opportunity to make photos even better. This app allows you to edit photos and is a very user-friendly app. 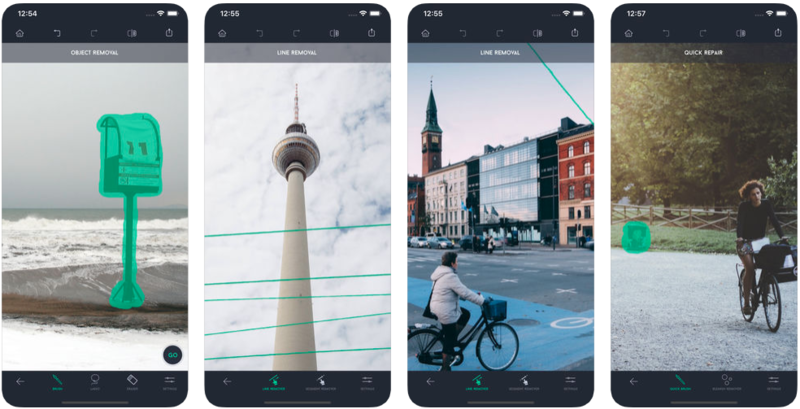 The app is loaded with simple click-based tools which are backed up with powerful content-aware algorithms that in turn help you to tweak and adjust photos. Whether it’s an annoying blemish, logo or some unwanted content, anything can be removed using this app. Supports formats, such as JPG, PNG, TIFF, RAW etc. 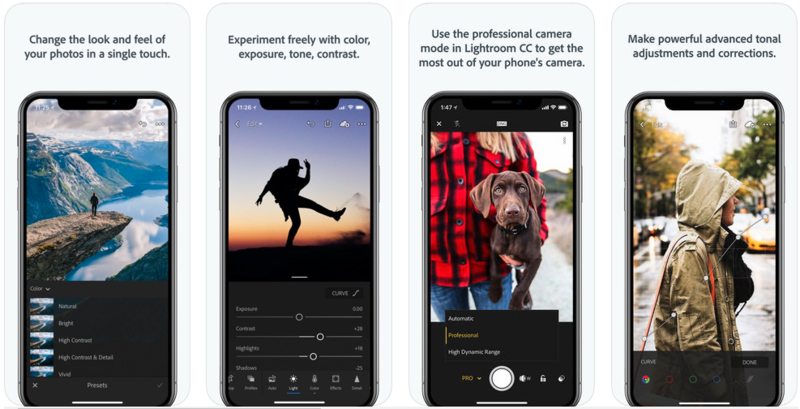 We hope you like our list of top 24 best photo editing apps for 2019. 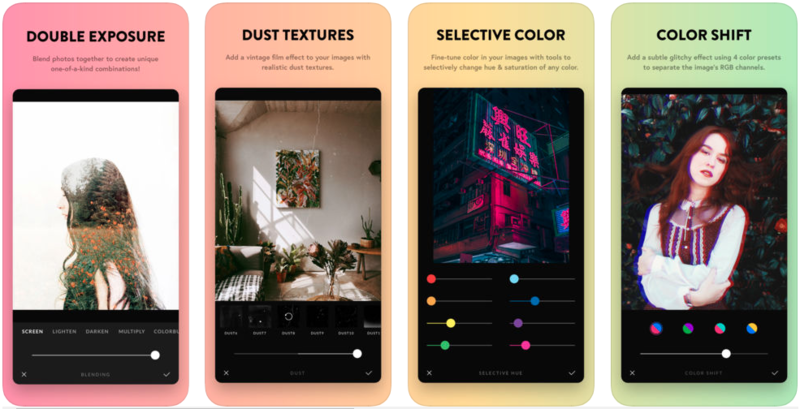 There is an app for everyone who needs to change colours, adjust light and transform the original elements of their Smartphone photos. 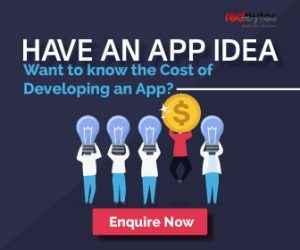 Whether you are a hobbyist or an artist or just keen on exploring creative aspect of mobile photography, you will surely find the unique range of photo editing apps here appealing.